This product has been done to death in the blogosphere by now, but I have it and have been using it daily for a few weeks now, so I’m going to put my thoughts out there. 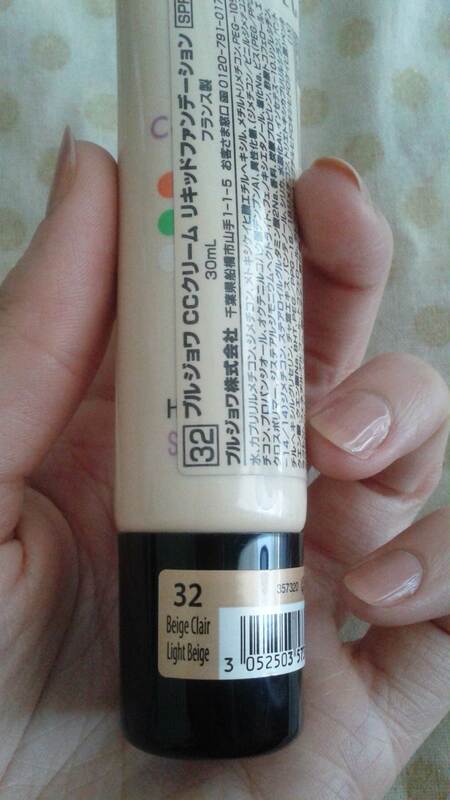 After a lot of hesitating and swatching, I chose the shade Light Beige #32. 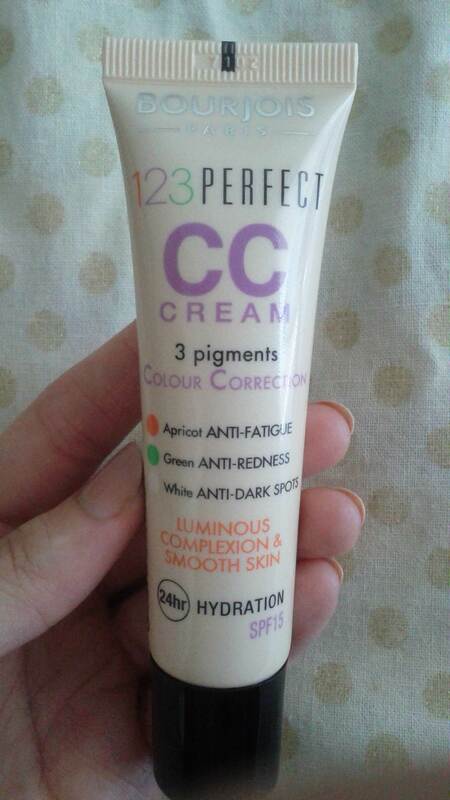 I thought, if I’m a #52 in Healthy Mix Serum, a #32 in CC Cream can’t be too bad (not ideal, I know). I have to say that overall, I do like this product. It’s nice and light, so perfect for humid Japanese summers. 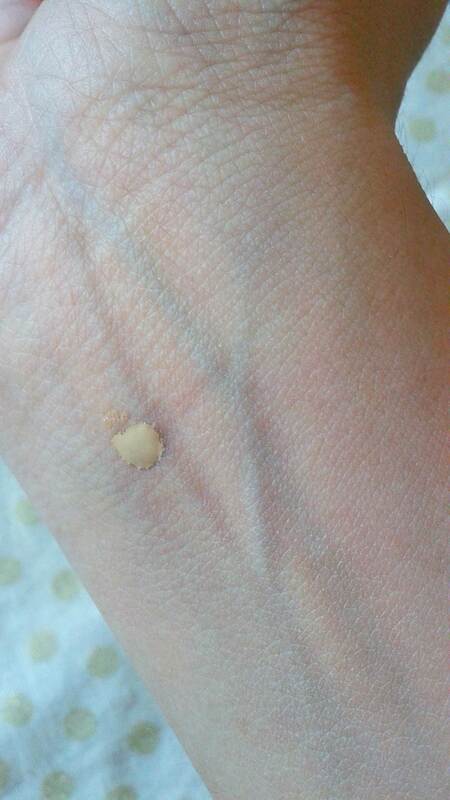 It packs enough punch that it evens out skin tone and camouflages redness (my major problem area). It isn’t so heavy that it masks my “beauty spots” (I don’t think they’re beautiful, I think they’re hideous, but what can you do?) though. In the cooler months I would want to give the illusion of having more perfect skin, but the heat and humidity here really make me too lethargic to be bothered. You could possibly insert a Lauren Cooper “am I bovvered?” and surly look here – I’ll leave that up to you. I do tend to set my T-zone with powder as it can get oily by the time afternoon rolls around – the humidity really doesn’t help – and I occasionally get out the blotting sheets. I think I would always set my foundation though, even if I were in the UK; just sheer force of habit as well as getting a shiny forehead and nose. I do leave the cheeks alone usually. I also find that this CC Cream sets quite well, if I may say that. Sometimes with other foundations (especially dewier ones), when you apply blusher, the brush picks up some of the base product, meaning the brush can get quite gross quite quickly. This doesn’t really happen with the CC Cream, as the product has set or sunk into the skin, and the brush doesn’t get as manky. Another thing I like about this product is the smell. It smells really lovely. It is not the same scent as the Healthy Mix Serum, and I can’t really describe it, but it’s quite nice. I really hate it when you sniff foundations and they just smell so rank. I find that so off putting. The packaging also really appeals to me. I love that it is in a tube! I’m one of those people that need to get every last drop of product out, and a tube means I can do just that. Much as I love the Healthy Mix Serum, I just feel sad and mourn that last bit that stays in the bottom of the bottle no matter what you try. It isn’t all sparkles and rainbows however, there is something about this product that bothers me. Somehow, more than with other foundations, I find that this CC Cream really settles into my laugh lines and highlights them. I don’t feel like it does this (quite as much?) with my forehead lines. I have not tried a primer underneath as I am usually either too lazy or running too late for that, so I can’t really comment on whether or not that would be an effective solution. If it didn’t do that, I would definitely rate this product a 10/10. Or, alternatively, perhaps I should just face the reality and get into the habit of using a primer all the time! Noooooooo! I swear some days I consider getting not botox, but some kind of filler under the deep lines… hmmm. Let’s think about that another day. One little addendum: I find that when I set my makeup with the Bourjois Healthy Balance Powder (I use 52 Vanilla and I know you’re supposed to use a translucent powder but I don’t) I can look a little yellow in my opinion, but it’s nothing unnatural, and looks like a more sun-kissed version of me. A little bit of blush revives my complexion and adds a bit of colour after that. The SPF 15 is a really good step in the right direction, but I would never use this without a higher SPF sunscreen on under it in the summer if I were going out for the whole day, or if I were going to be in the sun quite a bit. In the winter though, I think it would suffice. Will I be buying it again? I can’t say for sure. It is good quality and definitely affordable, especially when compared with high end foundations, but I wouldn’t call it my HG product. I definitely want to try the regular Healthy Mix Foundation first, before re-purchasing this one. Have any of you tried it before? What are your thoughts on it? I’d love to hear. Hope you’re all having a beautiful day wherever you are. 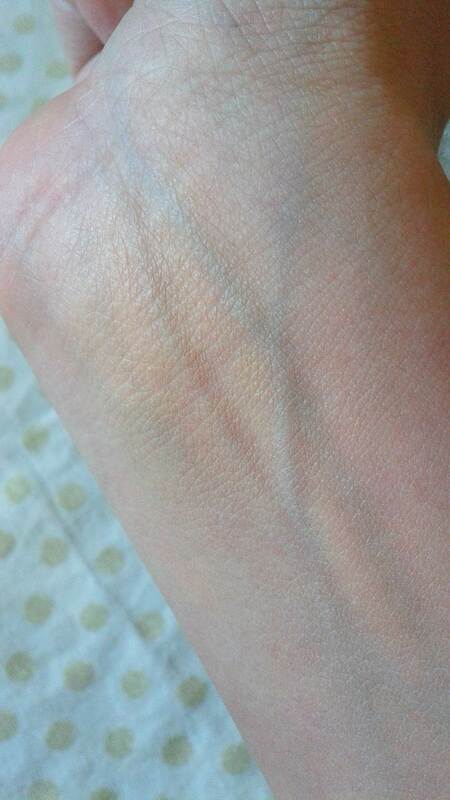 A drop of the product on the inside of my wrist. It looks a bit on the yellow side on this part of my skin, but it blends into my face much better. I think I’ll try that! Stock up when you go to the UK! Bourjois left Japan last month 😦 Definitely try the lightest one. I will. Also looking for ModelCo Fluid Splash Hydrating Foundation – miss it so much. Ooh, I’ve never tried that one. from Australia, used to be sold in London. Really hard to get hold of and they usually only sell the tanning stuff. Must get my ozzie rellies to get some! Gives you a very glowing complexion. Though you already have one! What’s the difference between cc cream and bb cream? BB stands for Blemish Balm, and CC is for Colour Correct. The difference is supposed to be that BB creams offer extra skincare benefits that regular foundations don’t such as being moisturising, having SPF, and containing anti-wrinkle properties (this depends on the brand though I guess), while being lighter and dewier. CC creams are meant to lean more towards evening out skin tone and correcting the colour of your skin to make it look the nicest it possibly can. It is also lighter than foundation and claims to provide benefits for your complexion that foundations don’t. To be honest, depending on the company and the product, they can tend to overlap and the lines can become a bit blurred, so the best thing is to try out different ones and pick the one that you feel happy with and that suits your needs best. Thanks! It does. I’ve been wearing chanel foundation for decades, but would live see if there is a cheaper alternative that’s as flattering. I can understand that – Chanel is not cheap. I’ve never tried the Chanel Vitalumière Aqua, but a lot of beauty bloggers say the Bourjois Healthy Mix Serum is a decent substitute, and some would even call it a dupe. It might be of interest to you to know that the Wertheimer family privately own both Bourjois and Chanel, and have done for several decades now. So they’re kind of sister brands owned by same parent company. I’m not sure if that’s why the quality of Bourjois products is so good (in my opinion), but there’s no denying Bourjois products are much loved by beauty bloggers the world over, and that makeup artists like Lisa Eldridge use their products, and YouTuber Tanya Burr loves their bronzer. Thanks! That’s Very Cool to know! Vitalumiere is the product I use. I love it! I’ve tried la prairie (or should I say, got stuck with? I thought it was great until I hit real sunlight and looked like a corpse. I couldn’t return it. I did like armani, but figured it’s almost as much. So why bother? I’m psyched. I’ll have to find out who carries it. I’ll let you know. I has no idea Bourjois and Chanel are owned by the same family! That is insanely cool. Heheh I really like it 😀 Until it melts off, lol. I feel like it evens my skin tone out more and gives me more coverage, like I need less powder if I also use liquid/cream. You can’t feel a thing with this CC cream though, honestly, it’s so light on the skin. It is, isn’t it? 🙂 Especially when one is so affordable and the other one is not. I didn’t try this CC but Healthy Mix foundation is very good.You should try! 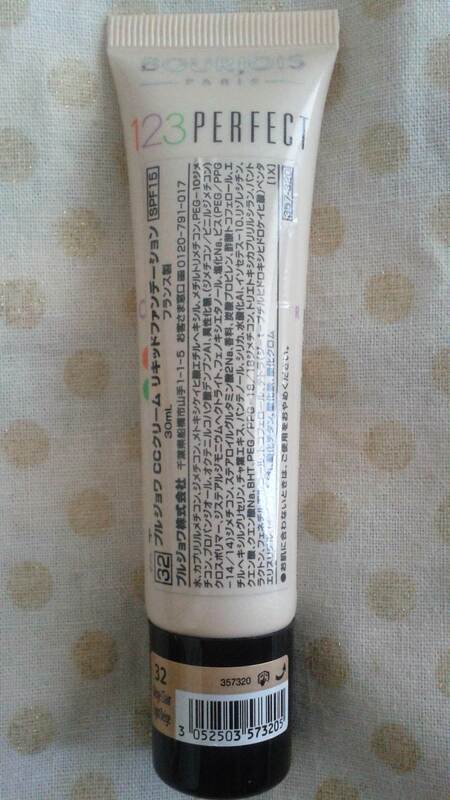 If you ever see CC cream from Lumene I’d recommend you to try it. I think it has greater coverage than Bourjois CC one and it has better shade (I swatched Bourjois CC in store to compare). And I find Lumene CC a little alike Bourjois Healthy Mix. I always liked this brand when I worked at Sephora. It was affordable but good makeup. Cute, too!!! =) hey hun, I wanted to let you know that I nominated your beautiful blog for the Lovely Blog Award!!! Congrats! !